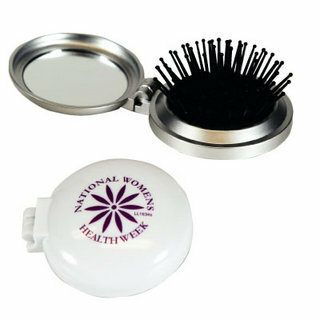 Pop Up Brush one side and shatter resistant mirror other side. Perfect for the on the go grooming! Extra colour prints available at extra cost.